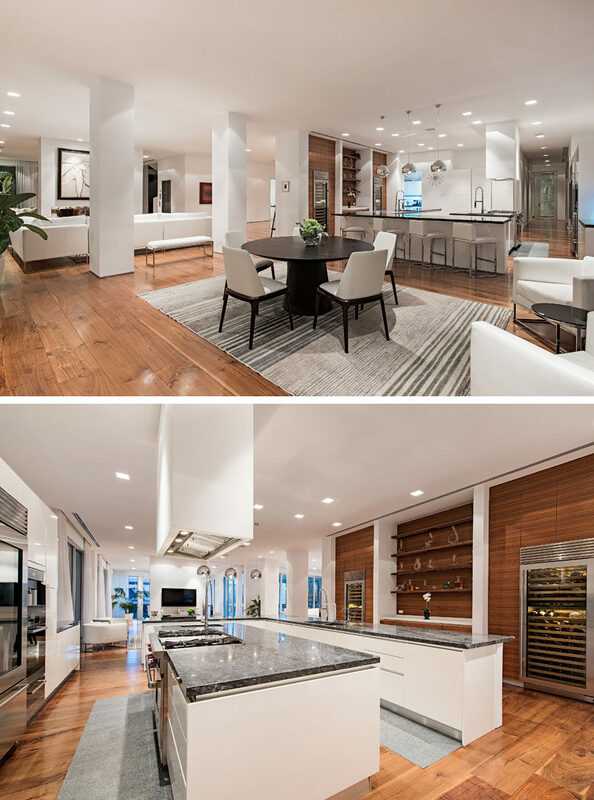 Kobi Karp Architecture & Interior Design has recently completed a Miami Beach waterfront estate that’s situated at the water’s edge on La Gorce Island. Inside, European white oak floors are featured throughout, and a double-sided fireplace is positioned between two living rooms. Sliding glass doors open the living rooms to the wood deck that surrounds the swimming pool. In the dining room, an elegant chandelier hangs above a large dining table with room for 12 people. A smaller, more casual dining area sits adjacent to the kitchen. In the kitchen, white cabinets are paired dark countertops and wood accent walls featuring open shelving. 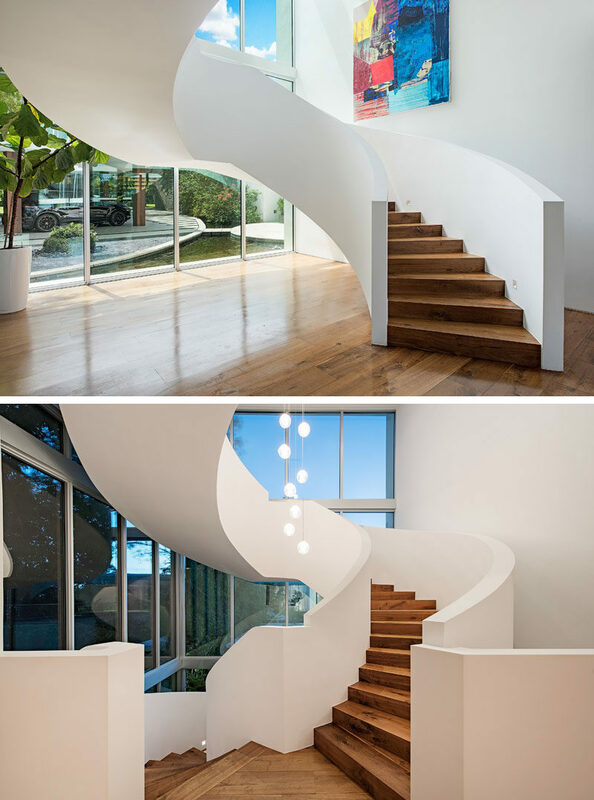 A grand spiral staircase with wood treads, leads to the upper floors of the home. 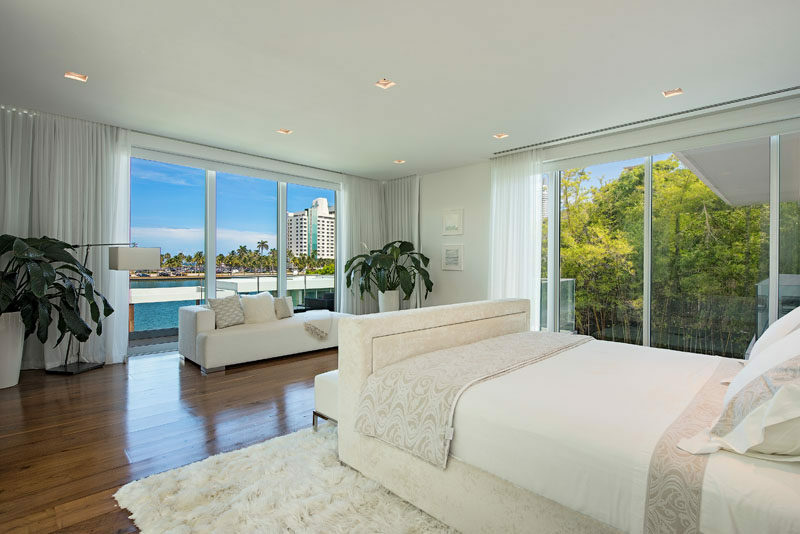 In one of the bedrooms upstairs, floor-to-ceiling windows provide water and palm tree views. In one of the bathrooms, a sunken bathtub is surrounded by Panish limestone, while large vanities and full-wall mirrors are featured on both sides of the bathroom.